No international body was going to stop the Israeli push to incorporate the heights and do what it has become so adept at doing: colonising it into a new reality. The Knesset showed its disdain in 1981 by adopting the Golan Heights Law, passed by 63 votes to 21, which effectively acknowledged that the law, jurisdiction and administration of Israel would be duly extended into the territory. Prime Minister Menachem Begin’s views on Syrian hostility, reflected in the deployment of missiles on Lebanese soil, was also cited as an excuse. The position of Israel’s unqualified and foremost ally was, at least notionally, with an international reservation on the status of the Golan. But that contested state offered another overturned convention for the Trump administration and US foreign policy. 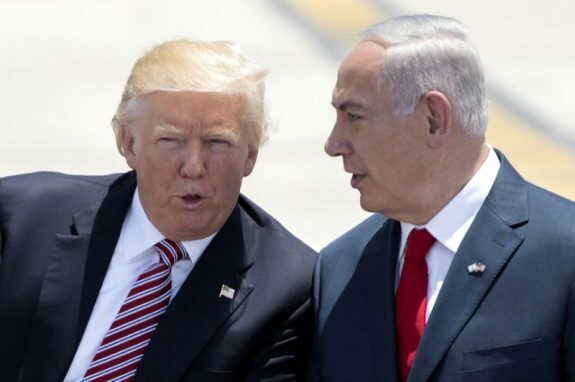 On March 21, President Donald Trump decided, via his own chosen, special medium, to claim that, “After 52 years, it is time for the United States to fully recognize Israel’s [s]overeignty over the Golan Heights.” As is operating protocol in the administration, it was not initially clear whether Trump had merely cyber-aired an opinion in an act of spontaneous release or announced a genuine policy shift. The US State Department preferred to direct press concerns to the White House; certainty was, for a period, suspended in the scramble for elusive facts. I do NOT support what Israel does with the settlements. But I completely understand it’s annexation of the Golan Heights. Israel is surrounded by countries who hate Israel, and have tried to crush it. If Israel buckled under international pressure, and gave the Heights back to Syria, it would be annihilated shortly afterward. It might look to the US to save it, But US ineptitude has been on display – everywhere it has tried to bully countries – since its might was not enough to beat Vietnam. Israel already believes that EVERYBODY (bar the US) hates it, and I believe would use any means possible to save itself. That is not, by the way, an anti-Semitic rant: or even an anti-Zionist rant (although I take George Galloway’s view on it). Just my considered view on what I believe is actually an insoluble situation. You didn’t mention the Genie Oil factor? Or is this a politically incorrect issue? He mentions the P-word and the I word. Palestine and Israel…. I’m stunned to a deep state of SHOCK. “That is not, by the way, an anti-Semitic rant: or even an anti-Zionist rant (although I take George Galloway’s view on it). Just my considered view on what I believe is actually an insoluble situation. Israel is on borrowed time if As Golda Meir stated in her biography, she would see the world in a ‘ Nuclear Armageddon ‘ rather than give any part of Palestine or if you like, Israel to the Arabs. Their fate is sealed. Either they turn the best part of the ME into a dust bowl or, create a two state solution. For mine the latter is inevitable. If they make the Golan Heights permanent, I will scrub around the new car this year and buy a shelter. Phil, the media has fallen into line…NO reportage, no criticism of Israel’s designed brutality. Definitely Venezuela, following the rest of South America. Most of Africa, the Chinese are quarantined within the borders of China and Russia and Europe don’t count yet. NO-one is getting their hands on all that oil and other resources, or changing international exchange practices and the war machine continues on with its built-in planned obsolescence. Yep agree with all that. The latest threat from that gibbering idiot Trump is to shut their border with Mexico. For mine, a lot of this rhetoric is, for his home grown base. That’s “Mr & Mrs Dumb Fcuck “. You cant miss them, they run around the country side armed to their one tooth in their cake hole, with a dead squirrel on their heads. Anything to take their minds off the fact the US has elected a gibbering idiot and a crook, to lead the supposed free world. Btw for mine, Pence makes Trump look like a member of MENSA. We are heading for unchartered waters, with a Captain and Crew as dumb as a bag of hammers. Being a ‘ Baby Boomer ‘ I only remember WW2 from doco’s and books. I haven’t seen war up close. I fear that is going to change and not to far away. Yes, friend. The Americans grow their own homegrown Hansonists, They even copy us with that (yes, I know.. smiles). The people hanging on to power will happily cut throats by the trainload if it keeps them where they are without batting an eyelid. Despite all their self-righteousness, Israel continues to enjoy some sort of ongoing immunity from Human Rights abuses and war crimes as defined under the Geneva Convention which are now further bolstered by the Trump administration. They claim to believe in the Peace Process but not the peace itself because as long as “the process” continues, so does the increasing dispossession and occupation. The notion of Greater Israel has always been their objective and the only solution to the Jerusalem matter is probably a Biblical one – evacuate the city and nuke it so nobody can claim it as their own. Indeed Bud Indeed. Most of the people I know are oblivious to the fact we are getting flushed down the shitter. As an aside my old mum is ninety, the wife and I had lunch in the nursing home she lives in. This couple of old people sitting across from us, only about five years older than us, he looking like a badly dressed American Golfer and she with enough pearls around her neck to sink a Pommy battle ship. Were, waxing lyrically about what a splendid job Trump was doing. Having mellowed in my own old age, instead of asking them would they like a slap around the head? (Joking) I calmly asked them, could I recommend a good psychiatrist. Instant end of conversation. This is how I treat all cretins now. I have one foot in the grave, I don’t have to be nice anymore. It appears that the message of this article is that Zionist Israel continues to be the biggest and boldest fascist state, not only in the Middle East, but in the world today. The presumptions of imminent war in South America (those naughty Venezuelans wanting to ‘sell’ oil to the USA (United States of Apartheid) multinational oil corporations just undermines the American economy) and the recent pseudo-religious mutterings of Pompeo could indicate that the US NE military industrial complex is flexing its political influence to increase profits for those super-rich shareholders at the expense of everybody else regardless. Quite a number of years ago there was a TV series about Israel’s Generals. What has stayed with me is Moshe Dayan saying that Israel was seized at the end of a gun and will only ever be held the same way, or very similar. It might be found on YouTube … can’t check, I won’t give YT as many personal details as they want to have YT work on my tablet.